Whether you are looking for a workhorse truck like the RAM 2500, an off-roading legend like the Jeep Wrangler, or a family vehicle like the Chrysler Pacifica, we have what you need at Stanley Chrysler Dodge Jeep Ram Brownfield. Browse our new inventory and stop by for a test drive at our Brownfield location! 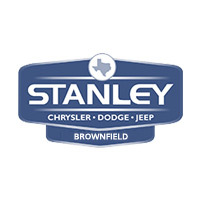 Find the right vehicle for you at Stanley Chrysler Dodge Jeep Ram Brownfield today. Still not sure which is the right vehicle for you? Our trained sales team is here to help! Contact us to schedule a test drive near Hobbs NM today, or look at our lease and financing options.